Join us June 7 & 8, in San Ramon for informative classes, exhibits, and assistance with my|CalPERS. 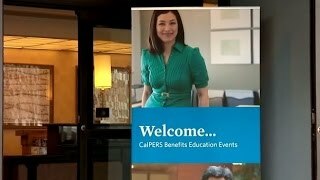 CalPERS Benefits Education Events (CBEEs) are held throughout the state and are open to CalPERS members at all career stages. The earlier you develop an understanding of your benefits, the more prepared you'll be to make good decisions and develop a plan for your financial future. Learn about benefits, programs, and more at informative classes. Review your personal information and options in my|CalPERS, our secure self-service website. 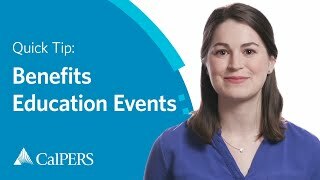 Speak with representatives from CalPERS and our partner organizations. Registration is available approximately six weeks before each event. Pre-registration is encouraged and intended to expedite event check-in, but does not guarantee a seat in the morning classes. The classes are repeated throughout the day. We encourage you to be flexible with your schedule as some morning classes tend to fill up quickly. See the Calendar for upcoming CBEEs dates, locations, directions, printable resources, and links to our online registration. Come for an hour or stay all day. The schedule is the same for both days.